Nancy L. Stagg is a principal in the Southern California office of Fish & Richardson. Her practice emphasizes the defense of consumer class actions, unfair competition and false advertising litigation, as well as a wide variety of business and intellectual property litigation, including trade secret litigation. Stagg also has a background in product liability litigation. Stagg has represented numerous publicly-held and private companies in nationwide and California class actions as well as in FTC, Attorney General and District Attorney investigations and actions. Her clients have included biopharmaceutical companies, consumer electronics manufacturers, product merchandisers, magazine marketers, automobile warranty companies, banks, credit card companies and telecommunications providers. In addition to her trial and appellate expertise, Stagg also has significant experience in addressing e-discovery issues, in handling arbitrations and mediations, and in litigation-avoidance strategies. Stagg, voted by peer-review, is listed in The Best Lawyers in America in the specialty of Commercial Litigation (2008-present). 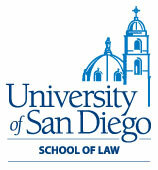 She is listed in the 2007-2009 editions of San Diego Super Lawyers for Business Litigation and Super Lawyers - Corporate Counsel Edition for 2008. She was named in the 2010 and 2009 editions of San Diego Super Lawyers, and as one of the Top 25 Female San Diego Super Lawyers in 2009. 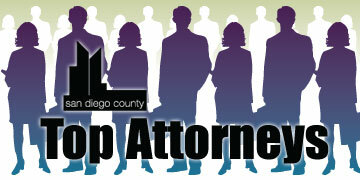 In 2006, Stagg was named as one of the San Diego's "Top Ten" attorneys by the The Daily Transcript. She was also listed in The Legal 500 US IP and The Legal 500 US Litigation in the area of Trade Secrets Advice and Litigation (2007 edition).